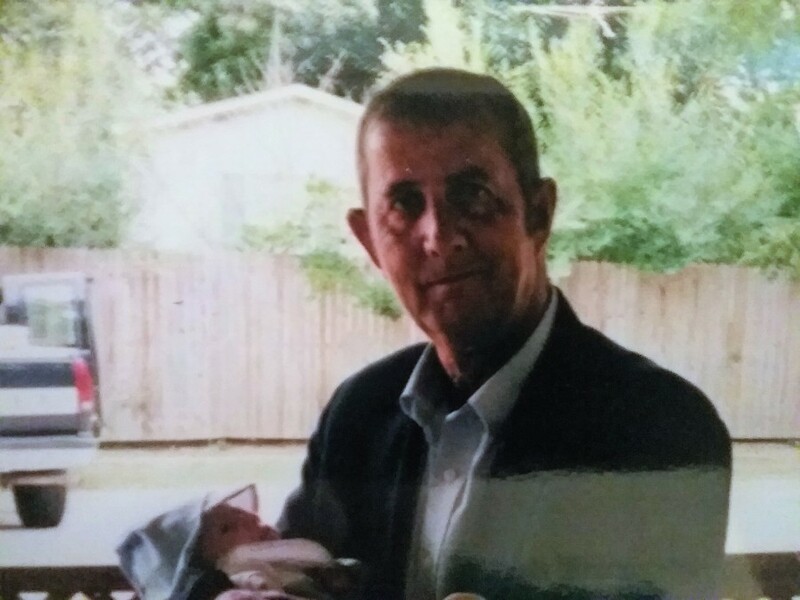 Jerry Paul Jones, age 72, of Defuniak Springs, Florida, passed away Saturday, July 28, 2018, at Sacred Heart Hospital in Sandestin, Florida, following a brief illness. He was surrounded by many loving family members and friends and will be missed immensely. He was born April 10, 1946, in Bonifay, Florida, the son of W.C. “Ben” Jones and Edna Ruth Jones. He was a 1964 graduate of Ponce de Leon High School. Through the years, he worked in road construction in various capacities with the Florida Department of Transportation, Couch Construction, Corvin-Michaels, the Holmes County Road Department, Okaloosa Asphalt, APAC-Midsouth Paving, and as a consultant with Wiregrass Construction and C.W. Roberts. Jerry loved politics and was a member of the Walton County School Board for 8 years. During that time, he gave many scholarships to graduating seniors. He was also a generous giver to children and those in need. One of his main joys in later life was spending time with his dogs, Angel and Friend, but most of all, he loved spoiling his grandkids with Butterfingers, Coke, Reese’s Pieces, and money. He is survived by his wife of 24 years, Cecilia Jones; son, Chris (Courtney) Jones of Headland, Alabama; daughter, Michelle (Andy) Watkins of Defuniak Springs, Florida; stepson, James Wade “Jimbo” (Ashley) Bishop of Seagrove, Florida; grandchildren Jeremiah Watkins, Jc Watkins, Grace-Anne Jones, Colton Bishop, Emma Caroline Jones, and Carter Bishop; sister, Pat Polston of Leonia, Florida; brother, Jack (Flynn) Jones of Leonia, Florida; nieces, Angie (Donnie) Brunson of Geneva, Alabama, Melissa (Steve) Stinson of Lamont, Florida, and Wendy (Josh) McGowan of Leonia, Florida; nephews, Dale (Debbie) Polston of Floyd’s Knobs, Indiana, Todd Jones of Leonia, Florida, and Rodd (Penny) Jones of Leonia, Florida; and numerous great nieces and nephews. He was preceded in death by his parents Ben and Ruth Jones; brother, Mack Jones; brother- in- law, Lomax Polston; and beloved pets, Angel and Friend. A time of visitation will be Tuesday, July 31, 2018, from 5:00 until 9:00 p.m. in the chapel of Davis-Watkins Funeral Home, 1474 Highway 83, Defuniak Springs, Florida 32433. Funeral services will be held Wednesday, August 1, 2018, beginning at 10:00 a.m. at Christian International Church located at 5200 US-98, Santa Rosa Beach, Florida 32459. Committal services will follow at Reedy Assembly of God Church Cemetery in Leonia, Florida with Reverend Mike White officiating both services. Those asked to serve as pallbearers are: Hubert Stafford, Dalton Spears, James Cook, Houston McCormick, Bill Eddins, and Carl Burnham. Honorary pallbearers are: Charles Owens, Don Sollie, Ben Watts, Ronnie Brannon, Bill Chapman, Alex Alford, Joe Weeks, W.F. “Rabbit” Miles, Jimmy Strain, Stan Sunday, and Patrick Pilcher. Flowers are being accepted or memorial contributions may be made to the South Walton Youth Football Association, P.O. Box 2039, Santa Rosa Beach, FL, 32459. Arrangements and services are under the direction of Davis-Watkins Funeral Home.